When you have narcolepsy, naps are likely to be a part of your life whether you like it or not. However, when we take our naps on our own terms, they can be used as a great tool for managing our condition. 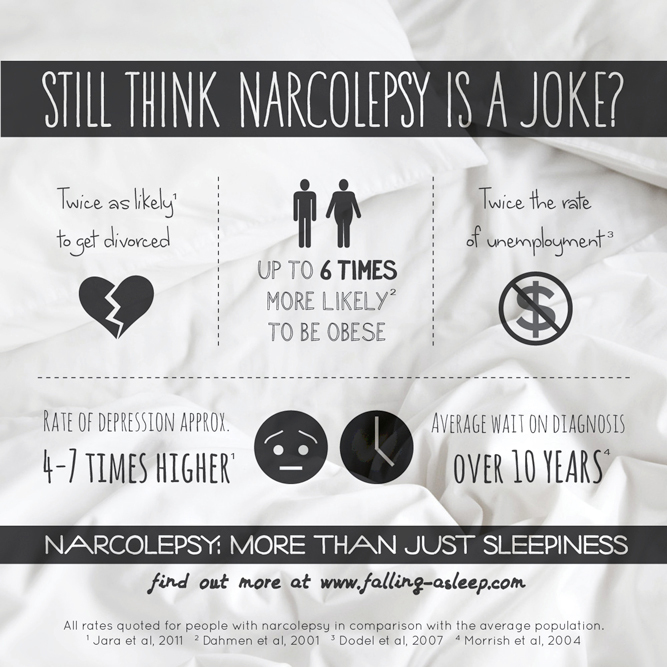 Narcolepsy is a condition that causes our brains to work differently to those of “normal” people. Instead of being awake during the day and asleep at night, our brains want to be constantly phasing between wake and sleep. By purposefully taking naps, we are giving in to this natural pattern to some extent, but in a way that makes it manageable in our lives. Come with me to another time, a time before I came to understand the true value of napping in my life… Each day I would go to work, and after an hour or two I would start the inevitable slide as my brain slowly began to fade out of consciousness and into what I like to refer to as “zombie mode”. When in zombie mode, you are caught in between the normal states of wake and sleep – unable to have a single coherent thought or do a single productive task. I would often experience automatic behaviour, sometimes going back to screw up work I had already finished! This state could last anywhere between a couple of minutes to a couple of hours, and would always end in sleep anyway as I eventually gave in. Avoiding zombie mode is simple, it just requires a bit of self-awareness. You need to learn to realise when you are at that point where you know sleep has become an unavoidable reality in the near future, when you have ceased to be able to do anything useful. If you wait too long, your brain may have already slipped to far into zombie mode to recognise the need for a nap, and you will continue to pointlessly try and fight sleep. There is an exception to this rule of course, which is when you know that you are going to be doing something later but won’t get another chance to nap before then. In this situation, you can try taking a nap before you actually get tired, so that you can fit it in around your plans. While this typically doesn’t work as well as the method I described above, it is a lot better than simply trying to go without a nap all day! Just after eating can be a good time for a nap, as the body naturally uses up more energy in the digestive process. Once you realise you need a nap, you need to find somewhere to take one! At home, the couch or your bed are pretty obvious options. Personally I prefer the couch, as I find it really difficult to get out of bed once i’m all comfortable and warm (especially in the winter!) Being on the couch is slightly less comfortable, and makes it easier for my brain to remember that I’m just napping. If you are working, it can of course be more difficult to find a convenient napping location. I’ve been lucky enough to only work in places that had a sofa in a quiet enough area to nap in, but other options are an unused meeting room or office, in your car, or even at your desk if you feel like you would be able to relax enough. It’s not ideal of course, but sometimes we just have to work with the options we have! Each time I realised I was in need of a nap, I would set a timer for twenty minutes just before closing my eyes. I would wake up any time that I felt awake enough to notice, and found that each time I was waking after about ten minutes. I started setting my timer for ten minutes, and woke up a few seconds before the timer about half the time. I did away with the timer altogether as I realised my body was now pretty good at timing itself. If you need a fail-safe, set a timer for a couple of minutes after the time you actually want to wake up! Of course I can’t guarantee this will work for everyone, but this is honestly all I did. Give it a couple of weeks for the pattern to sink in and your body to start understanding what is going on. Trying it for a couple of days then giving up probably won’t be of much use! Waking up – COMMIT TO IT! As I said earlier, waking up as soon as you are awake enough to notice is imperative in making this process work. If you make the decision to simply roll over and keep sleeping, you are doing yourself a big disservice. I know it is hard to make this kind of rational decision when you are only half-conscious, but it does get easier with practice! Just keep reminding yourself all the time that more sleep does not mean you will be less tired. This is a guiding principle in my life now and I feel a lot better since eliminating all of this pointless lying around. My last tip is to take a bit of a break before you jump back into things. Most of us will be a bit fragile when we first wake up, be it from the confusion experienced between sleep and waking or the leftover emotions from our dreams. At this point I find it is best to remain isolated for a couple of minutes, giving your brain time to get back into gear. Pulling out your phone and checking your facebook or reading a couple of news stories can be a simple and convenient way to get those everyday neurons firing again. Now of course I cannot guarantee that you will wake up from every nap feeling fresh and alert, even if you follow all of these tips down to the letter. However, I can tell you that learning to nap in this way has been a very important part of my ability to function the way that I do now; living in a world without a constant haze of sleepiness. When I am awake, I am fully awake and ready to take on the next challenge, and as soon as I start drifting off I’m dipping out to take my ten minute nap before getting straight back into things. My average nap count is somewhere around 1-3 each day. Things that influence this the most are the amount of activity, what & when I eat, and if I am suffering from any additional illness (a bad cold or flu can have me napping almost hourly!) This means a total maximum time deficit of thirty minutes from of my entire day. When I compare that to the hours I used to spend wasting time being brain dead while seeming awake, it seems like a fair tradeoff. Instead of constantly fighting your brain with the artificial stimulation of excessive medication, I find it much more preferable to take a lower dose of stimulants that allows me to nap when necessary. This results in a much more real feeling of wakefulness, and doesn’t have so many awful side effects. *Of course I’m not trying to chastise anyone who doesn’t feel that naps work for them, because unfortunately the reality is that they won’t work for everyone. For some people, their medications will cause issues with napping, while others are simply in the minority whose brains don’t respond well to naps. I am simply sharing these tips for those who are interested in trying it out, I know that I am always curious about the ways that other narcoleptics manage their condition and have often found these insights useful in my own life. Thanks Elle ,will give this ago .My naps are uncontrollable with falling asleep every hour or should say waking up sometimes at every hour through the day ….